Portable receiver to alert the hard of hearing to sounds in their home. 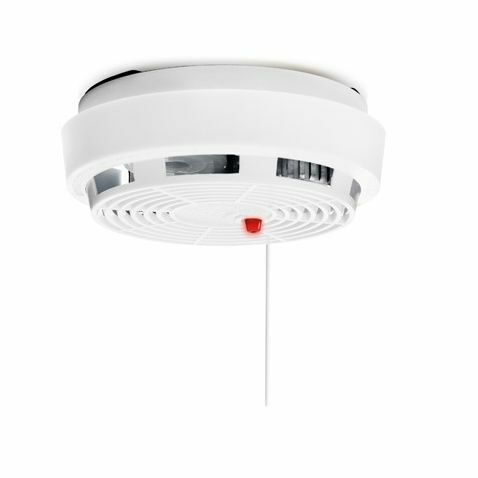 Bright, flashing lights enable clear identification whilst customisable signals allow individual alerts to be set. 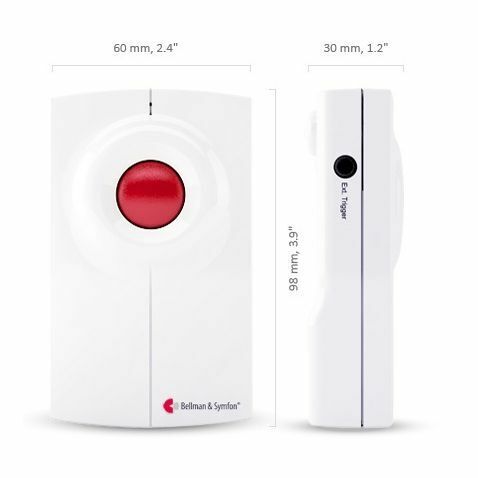 The Bellman Visit range makes everyday tasks, such as knowing when to answer the door or phone, easier for people with hearing impairments. 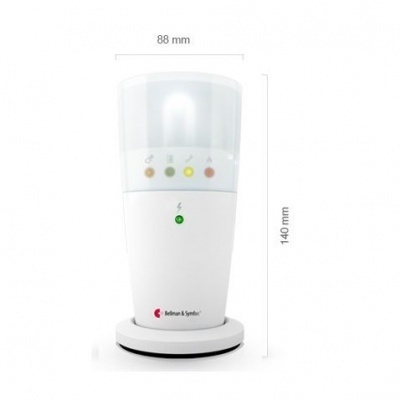 Consisting of transmitters and receivers, the range uses radio signals and alerts to ensure you are always aware of activity within your home. The standard Bellman Receiver is a mains operated device: sturdy and reliable, it's an ideal primary receiver to detect signals from your transmitters. But what if you suffer a power loss? Or, perhaps you simply desire a more portable device? The Bellman Visit Portable Flash Receiver is a great alternative or addition to your regular Flash Receiver, perfect for users who wish to keep their receivers on their person. 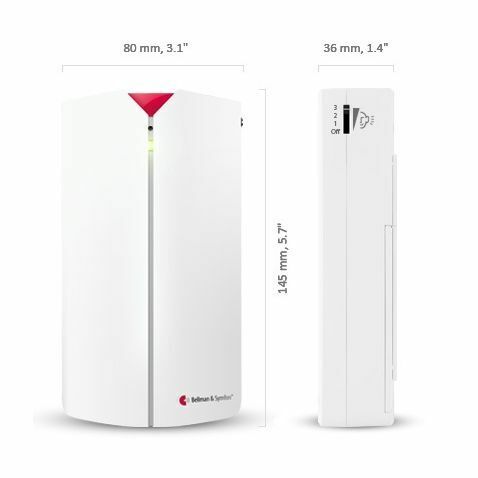 The powerful back-up batteries reduce the risk of power loss so you can ensure that you'll never miss an alert. How Does the Portable Flash Receiver Work? The device uses radio signals to receive information from your transmitters and alert you if anything has been triggered. The Portable Receiver does so by emitting sound, light or, if connected to the Bellman Bed Shaker, vibration. The settings can be customised to distinguish between individual alerts. So, if you have several transmitters for different triggers, your receiver can process this and ensure that the reason for the indication is evident. 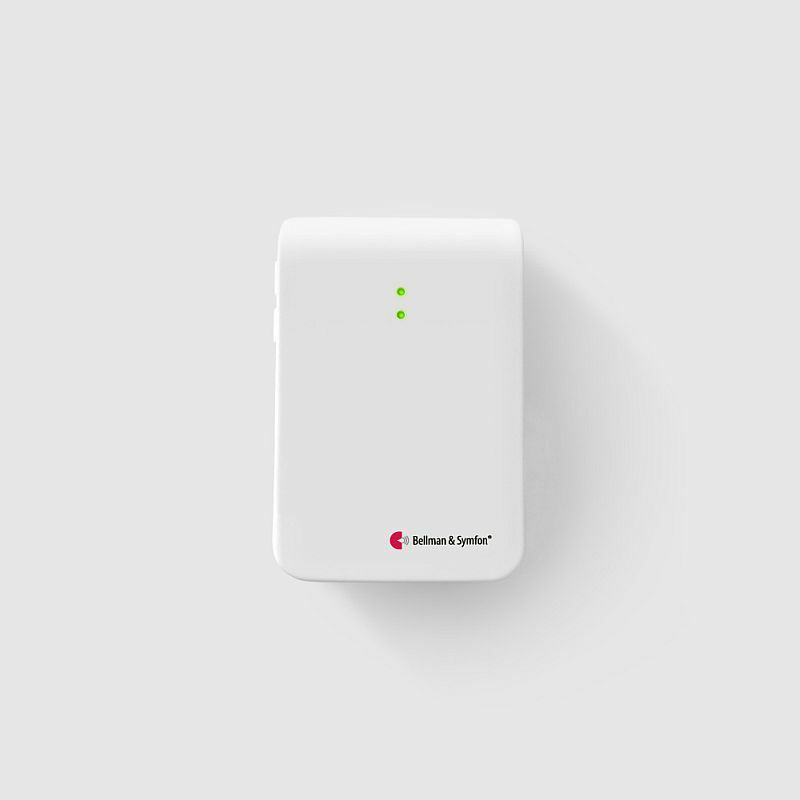 Unlike the standard receiver, the Bellman Portable Receiver can be battery powered, allowing you to move it about your home with greater ease. The device can also run from the mains, so you'll still be able to use your receiver even if it runs out of battery. The Portable Flash Receiver is designed for indoor use only. Warning - flashes can cause epileptic attacks. Doorbell transmitter for the hard of hearing, suitable for traditional and electrical doorbells. 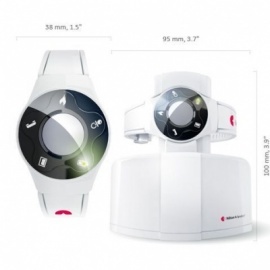 It can be programmed to recognise any sound, and is compatible with the Bellman Visit range. Doorbell for the hard of hearing which alerts your Bellman Visit receiver when triggered. 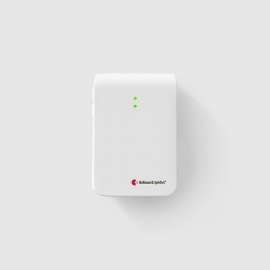 Customisable signals allow for use on multiple doors, and it can also be used as a personal alarm. Telephone transmitter for the hard of hearing to alert receiver of an incoming call. Can detect up to four individual triggers, has an adjustable radio key and long lasting power. 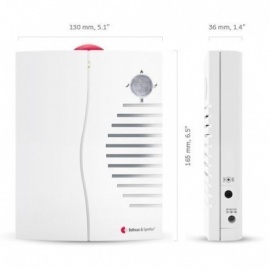 Baby Cry Monitor for parents and guardians who are hard of hearing. Designed to specifically detect the sound of crying so will not be triggered unnecessarily, and is compatible with Visit receivers. 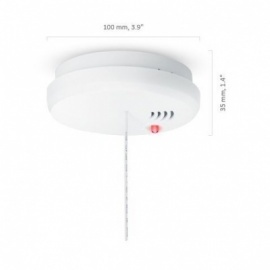 Fire alarm for the hard of hearing that will alert receiver if triggered. 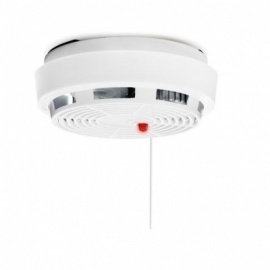 Able detect both smoke and heat and can be used in the Bellman Visit Fire Alarm System. Fire alarm for the hard of hearing which alerts receiver when triggered. Can detect both smoke and heat, as well as both visible and invisible smoke. Notifies receiver when battery is low. 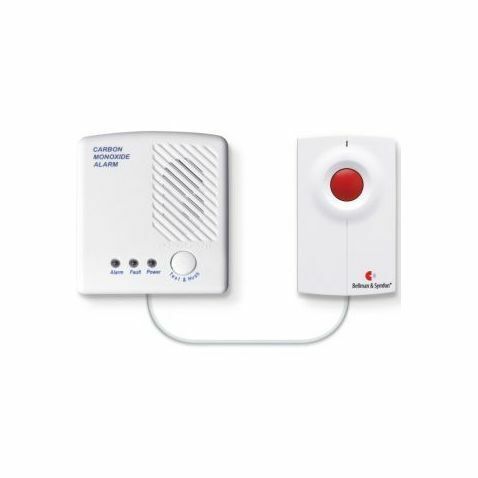 Detector for the hard of hearing which alerts user to dangerous levels of carbon monoxide. Signals your Bellman Visit receiver with light, sound or vibration. Device which flashes brightly when the telephone rings, alerting the hard of hearing of an incoming call. The design is robust and durable, for lasting quality, but also portable for use around the house. Lightweight Wrist Receiver to alert the hard of hearing to sounds in their home. Charger is included and can connect to bed shaker (accessory) to alert you at night. 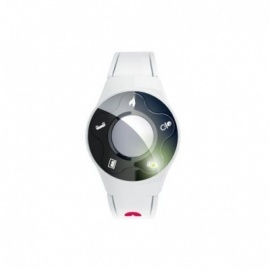 Wrist Receiver to alert the hard of hearing to sounds in their home, using coloured lights and discreet vibration. Lightweight, sleek and portable, and compatible with transmitters in the Bellman Visit range. Discreet Wall Mount Bracket to attach Flash Receiver to wall. 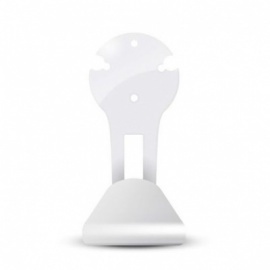 Comes with screws to attach it to wall, allowing user to easily see receiver signals from everywhere in the room.